The Michigan Senate Judiciary Committee unanimously approved seven of eight civil asset forfeiture reform bills on Wednesday. The bills, which have been endorsed by a 10,000-member law enforcement organization, will provide meaningful property rights protections for law-abiding citizens, as well as bring uniformity and transparency in state forfeiture law. In Civil Asset Forfeiture: Grading the States, FreedomWorks gave Michigan a "D" for its current civil asset forfeiture laws. Michigan is different from most states, in that the burden of proof falls on the government, but the standard of evidence needed to subject property to forfeiture is very low. Abuse of the state's forfeiture laws has been covered extensively in the media. 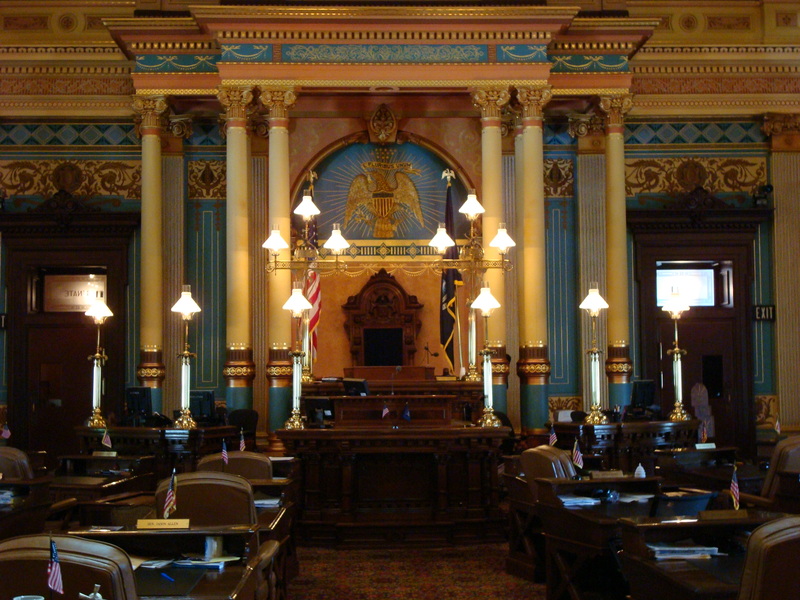 Michigan House Republicans, led by House Judiciary Committee Chairman Klint Kesto (R-Commerce Township), realized the problems with current law and made reform a priority for the 2015 session. The package of eight forfeiture reforms passed the state House in June with overwhelming support. On Wednesday, after two months of sitting on the reform package, members of the Michigan Senate Judiciary Committee heard testimony from advocates of reform, including representatives from Fix Forfeiture, Americans for Tax Reform, and the National Federation of Independent Business, and unanimously approved seven of the eight measures. FreedomWorks, a partner organization in Fix Forfeiture, supports the package of forfeiture reforms and our membership is urging the Senate to quickly pass them. The bills will now head to the full Senate for consideration. Those who testified before the committee on Wednesday praised the committee and urged the Senate to bring the bills to a vote in the chamber. "Today is a huge victory for Michigan property owners. For too long in Michigan, law enforcement has used civil asset forfeiture to seize cars and cash from average citizens who are never even charged with crimes" said Holly Harris, executive director of Fix Forfeiture, in a press release. "In a bold and unexpected move, the Senate Judiciary Committee voted unanimously to pass a package of legislation that provides much-needed transparency and accountability to this process, and affords more due process protection to property owners." "Under Michigan’s current regime, there is no enforceable requirement to report what was confiscated, and how that money was used. Such lax oversight has seen a rise in disturbing cases of possible abuse; such as the famous cases of Ginnifer Hency, whose house was raided because of her legal marijuana, or Annette Shattuck, who had a similar experience," added Jorge Marin, policy specialist for criminal justice reform at Americans for Tax Reform. "These are not isolated incidents; examples such as these are common in the states that have forfeiture laws similar to Michigan’s." Most of the bills require stringent reporting requirements, which are intended to promote transparency, and uniformity. Two other bills, HB 4499 and HB 4505, heighten the evidentiary standard needed to subject property to forfeiture in public nusiance and drug-related forfeitures, raising it from "a preponderance of the evidence" to "clear and convincing evidence." HB 4499 and HB 4505 were amended in committee, which means the House will have to sign off on the changes after they are approved by the Senate. Another bill, HB 4508, was not approved by the committee. The bill would have exempted vehicles carrying one ounce of marijuana or less from forfeiture. Jones said he had heard from lawyers who claimed it "simply legalizes marijuana" in Michigan, which, of course, is erroneous. HB 4508 would have prevented forfeiture of a vehicle carrying a very small amount of marijuana. Though heavily regulated, Michigan already allows the use of marijuana for medicinal purposes. Despite this law, Michigan law enforcement has targeted licensed caregivers and users, such as Ginnifer Hency and Thomas Williams, for purported violations of the law. Jones acknowledged that legalization may happen in November 2016, if a popular ballot measure is approved, but because he considers HB 4508 to be tantamount to legalization, he would not allow it out of committee. Still, the seven bills that were unanimously approved by the committee are a great step in the right direction. Innocent people should not have their property taken by the government. This common sense package of reforms will provide protection for law-abiding citizens, make forfeiture proceedings clearer, and shine light on how its being used by law enforcement. Chairman Jones and the committee deserve applauses for moving the bills quickly, but their action was only one step. The Senate should bring these reforms up for votes and get them to Gov. Rick Snyder's desk. Support Civil Asset Forfeiture Reform in Michigan!